Eye makeup remover can truly be a God-send for eyes that endure the daily beautification rites of mascara, eye shadows and eyeliners. Not having a good eye makeup remover has left many of us to a morning after of blurry, rubbed-raw eyes. Read on and discover some tips to help you choose the best eye makeup remover for your eyes. Walk into any department, or drugstore, and you will see aisles, and aisles of products designed to smooth, calm and de-puff tired eyes. Here's the lowdown on the different types of makeup removers, and some of their properties. Solvents or liquid removers like Clinique's Rinse-Off Eye Makeup Solvent are ideal for quick makeup fixes, or repairs. It also works well as apart of your overall cleansing routine. Furthermore, it contains no oil, so you can use it for spot checks without worrying that your makeup will bleed. Total makeup removers, like Estee Lauders Take It Away is great because it removes all makeup, including long-wear and waterproof formulas. Moreover, it also removes lipstick completely. This product is especially helpful if you like having a streamlined skin cleansing routine that saves you time. If the extra step of solvents and total makeup cleansers are too much of a hassle, try Andrea EyeQ's Make-Up Remover Pads. Besides being extremely cost-effective, these makeup remover pads are saturated with mineral oils that easily and thoroughly remove any and all traces of eye makeup. When all else fails, and you find yourself in a pinch, turn to a trusted staple: Vaseline. We all know that Vaseline is great for cuts and scrapes, but nothing is more effective at taking makeup off completely. Not only is it non-irritating, but it's so common, it's probably sitting in your medicine cabinet as we speak. A good way to decide the eye makeup remover for you is to consider your age. Your skin care routine and eye makeup remover should evolve as you age. Consider these factors before choosing the product best suited for your needs. Twenties: Skin is radiant with few problems. It's no secret that skin looks great in its twenties. Most damage here would come from smoking, partying, and too much time in the sun. Try the eye remover pads. Whether you've had one too many Cosmo's, or are just plain pooped, it takes barely any effort at all to swipe these pads across your eyes. And since sleeping in eye makeup increases the chance of lash breakage, your peepers will thank you in the morning. Thirties: Skin cell turnover has slowed; fine lines and wrinkles may begin to appear. Life seems busier and more hectic than ever in your thirties, and all that stress takes a toll on your skin. The best way to combat stressed-out skin is to use the overall makeup cleansers. It saves you precious time and doesn't tug on the delicate eye area. Forties: Collagen has decreased; wrinkles and lines appear with more frequency. In your forties your concerns revolve around wrinkles, lines and dryness. Products that are moisturizing, firming and collagen filled are best. Try Eau de Bien fait Clarte from Lancome. Filled with natural botanical extracts like papaya, and pineapple, it leaves you looking revitalized. Lancome offers Effacil. This is a good choice because it gently and easily removes makeup while leaving no oily residue behind. This can be the ideal prep for your favorite eye cream. Having a good eye makeup remover, one that suits your skin's needs, and your lifestyle, is an essential part of any good skin care regimen. Regardless of the product you choose, look to see that it thoroughly removes all traces of eye makeup, and that it doesn't tug, or pull on the delicate eye area. Your eyes should be left feeling refreshed and revitalized. 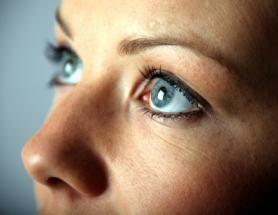 Considering these factors will leave your eyes looking bright and fresh for decades to come.